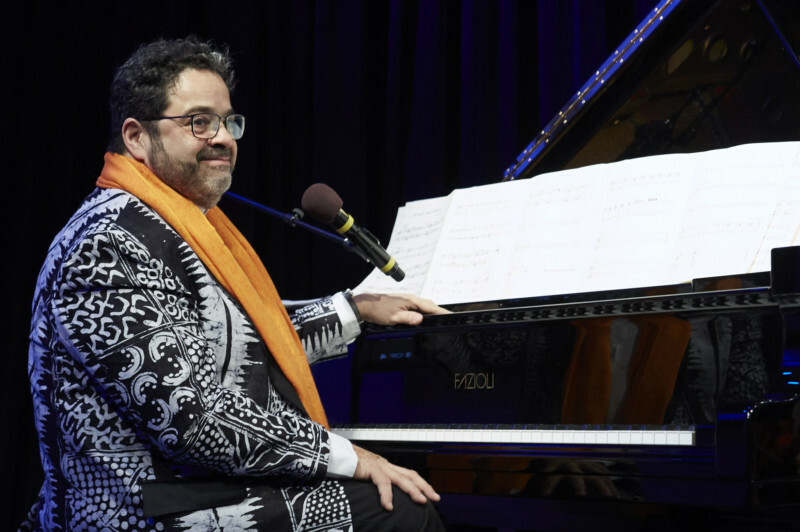 The Afro-Latin Jazz Orchestra joins us for a special celebration as six-time Grammy-Award winner Arturo O’Farrill wraps up his artist-in-residence series. They premiere a new composition commissioned in honor of The Greene Space’s 10th anniversary. The brand-new genre-bending composition is inspired by Arturo’s political activism and meant to smash the concept of high and low culture in music, challenging the idea that classical and jazz music are elite or that folkloric or commercially driven music is of lower artistic merit. This is no ordinary residency. For the next four months, O’Farrill holds forth from his pianistic pulpit, with the mission to be transcultural, genre-fluid and embrace all persuasions of musical deviancy and fun. Barriers will fall. High and low will be no more. And you’ll see why this is for the greater good. A VIP ticket includes reserved seating and two complimentary drinks. There are a limited number of VIP tickets.